In recent years, more and more systems for delegate management, registration, ticketing and payment have entered the market. With new developments in the mobile sphere and solutions like Apple Pay coming up, the advancements will continue. Time to take a closer look at what the various systems on the market have to offer, which features are available and what are the different pricing models and ranges. Many event planners still use home-made solutions, but they realize that with the advanced requirements from the market side, these systems are causing more problems than solutions. At the end of the day, collecting income from delegate or visitor entrance tickets is the core process for any successful event! Further below, you’ll find an overview of what systems are on the market. But before we come to that, let’s take a look at what are the 10 most important decision criteria when selecting a vendor. What is the business model of the solution? The most important question is of course the pricing model of the software. Many vendors charge for a setup fee in combination with a percentage per ticket sale of the turnover, plus fees for the payment processing. While that may be easy to calculate for few events, it can become quite costly when you run many events per year and the setup costs or base fees are calculated per event. Also, be aware that there may be hidden costs like training or webinars. What are the costs for your hardware and connectivity on site? Even if the ticketing software is located in the cloud and the purchase and payment processes happen entirely online, you will need devices to register and check the tickets on site. The expenses for these devices can become significant when you are tied to one particular system. Also bear in mind the cost for connectivity unless you can run the on site process entirely on local servers. How easy is it to set up registration for an event? Every vendor will tell you that this is a piece of cake, but be aware that there are quite some differences in how easy the setup for registration pages really is, especially when you have complex events with numerous options for the delegate to choose from. This will determine if you need to install 1-2 experts on your team or if more people will be able to set up new event registration pages. How is the usability from a participants point of view? People that have started a registration process are customers that are willing to buy. That step needs to be hassle-free , and that applies to all communications (email, text messages etc.) that come along with that process. Usability aspects also apply to the check-in process on site, which needs to be quick and easy, regardless of how the participant will identify themselves. Do you need just a ticketing solution or a full event website? In the first case, the solution will be embedded on your site. Some systems, however, can be expanded to offer a full event website with additional features. That can be quite interesting if you only organize few events per year. Does the system allow for badge scanning and lead capture? Particularly at trade shows, lead generation is the key performance indicator for exhibitors’ success. Systems that offer the option to scan badges without having to rent special equipment are clearly an asset (e.g. 2D barcodes, QR codes with participants contact information). In addition, it is relevant to take a look at the networking capabilities that the system provides for matchmaking between visitors or visitors and exhibitors. Mostly, though, this will be an additional feature or an additional app. Is the system mobile-ready? In the USA, mobile devices account already for more internet traffic than desktop computers, and other parts of the world will definitely follow that trend. There are two aspects to that: Will the participant be able to get a mobile ticket on their device (e.g. iOS Passbook integration, link in a text message)? Secondly, will the registration page be responsive to any sort of device that the potential customer is using? Does the system allow for social login? People have become used to being able to login online via their Facebook, LinkedIn, Twitter or XING profiles, so that they don’t have to repeat basic information every time or upload pictures. While that may not be a deal breaker in case all other criteria are met for you, it is an add-on that may become more and more relevant. What kind of promotion options does the system offer? Promotion codes, loyalty programs, special offers and different pricings based on e.g. membership status are important tools to maximize the marketing impact for your event. Some systems offer viral ticketing and even affiliate programs where you can grant commissions for sales partners or other websites. Now this is a tricky one, because there are so many solutions out there…! Capterra lists 173 solutions! However, this is an attempt to give an overview of those that I find particularly relevant for conference and exhibition organizers. Please feel free to add those that specialize on conferences and exhibitions in the comments section, I’ll be happy to include them in the list. Tailored to the needs of large trade show organizers, ADITUS offer a full suite of entrance management and ticketing systems, featuring services like mobile ticketing, lead tracking and capture as well as special solutions for exhibitors and press. Among their customers are the large German exhibition companies Deutsche Messe, Messe Frankfurt, DLG or Messe Berlin. The visitor management solution by Anywhere24 (based in Puchheim near Munich) consists of various modules: vrRegister, vrExhibitor, vrVisitor, vrPress, vrAccess, vrEntrance, vrSelfRegister, vrLead, vrSurvey and a visitor relation management tool (VRM) based on Microsoft Dynamics CRM software. 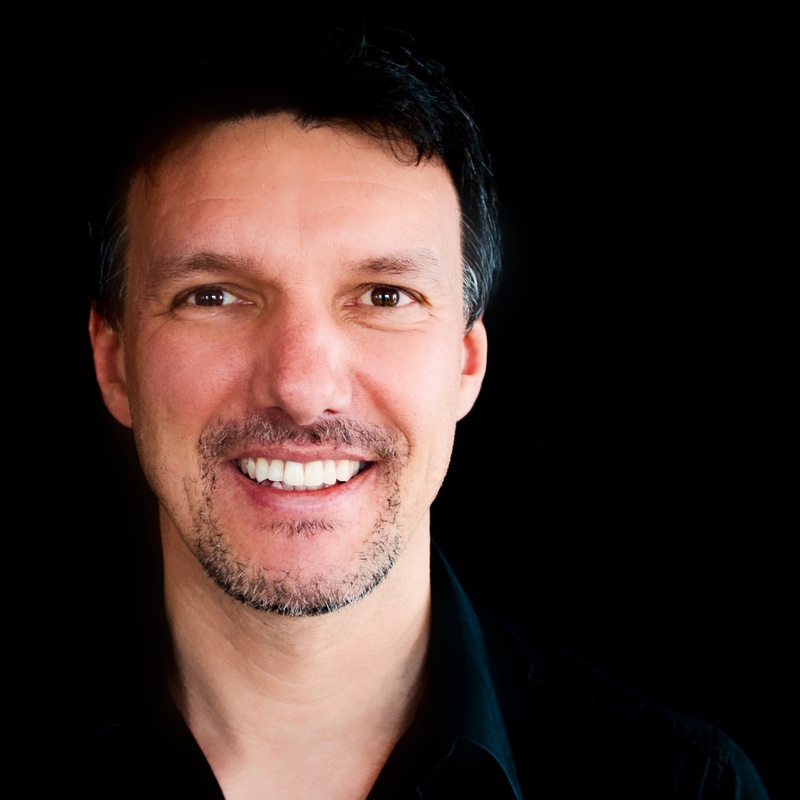 Their clients are based in Munich, Cologne, Nuremberg, Stuttgart and Karlsruhe. A big advantage is that the solution is certified by FKM, the auditing body for trade show attendance figures in Germany. Very easy to set up and providing a responsive registration page, Bookitbee is an interesting option for organizers that stage only few events and don’t want to go through the hassle of a complicated setup process. Pricing: 0,75 EUR/ticket plus 2% service fee plus 3,4% credit card processing. With this solution, there is no additional charge for credit card processing. So the cost is quite low overall. Also, it features a lot of customization, promotion and mobile options. Free iPhone and Android barcode scanning apps are provided for scanning at the doors. Focussed on the specific needs of scientific conferences (e.g. abstract sumissions, abstract reviewing, special features for universities), Converia offers a ticketing module that is suitable for events and conferences of all sizes. In addition, Converia offers integrated marketing tools like a simple CMS and email marketing. In essence, this is actually a B2B matchmaking and networking tool. However, the Converve solution also provides registration and payment features. With an open API it is quite flexible to integrate with a lot of existing systems. Delegates can set up personalized one-on-one meetings via the platform. Cvent’s event management software is a comprehensive suite of products that cater to all requirements of a planner. Mobile ticketing, PCI Level 1-compliant payment processing, powerful reporting and the fact that any computer or tablet can be turned into an on-site scanning device are the most important features of the solution. Plus, it can be expanded by Mobile app modules. By the way, cvent are really good at content marketing, offering 5 different blog feeds for event planning. The registration software eReg is part of a bigger software package. The options are quad, pro and plus+. The basic package quad also includes a tool to create an event microsite, a tool for email marketing and a survey tool. Primarily used by corporates like SAP, Vodafone, Hagebau, Volkswagen or Sony, eve is a delegate management software suite that also covers ticketing. The supplier is a subsidiary of Deutsche Messe AG called event it. Due to the structure of their clients, the software is highly customizable and can be adjusted to all kinds of requirements. One of the biggest suppliers, Eventbrite is pretty strong in mobile apps for event registration and management. Having processed already more than 160 Mn event tickets worldwide, you can be pretty sure that there are experienced people at work! Check-in can be done via a mobile solution for the iPad. Pricing (EURO-zone): 2,5% service fee plus 0,75 EUR/ticket plus 3,5% in case Eventbrite is used for payments, too. What a name! Stands out, doesn’t it? This solution is a plugin for WordPress, so it requires your event website to be built on that platform. It provides a long list of features, including mobile ticketing, payment processing, waiting list management, Groupon integration and a whole lot more. The downside of a plugin like this is: It needs to be configured, and that requires normally advanced skills in WordPress. If you have those, check out the solution. This solution is tailored to the demands of trade show organizers, therefore you’ll find Reed Exhibitions, Messe Düsseldorf, Koelnmesse, Stockholmsmässan or Westfalenhallen Dortmund on their customer list. The registration part covers social login, online shop, mobile shop, voucher processing and of course a comprehensive on site check-in system. Up to now, Groupon has been used primarily for concerts or sports events tickets – last minute sales. However, since October 2014, the daily deal platform has expanded it’s activities in the events business in Germany. They are of course not a ticketing software as such, but I know that the German association DLG have sold many tickets for their large exhibitions like Agritechnica via Groupon. It is an interesting option for conferences and trade shows, even though you need to give a significant discount on the official ticket price plus a commission for Groupon. The platform has also been used to offer VIP tickets to the New York Wine and Food Festival. This company provides event registration software, event websites, development consultancy and staffing services. They handle more than 1 Mn registrations per year. Special features are SocialBuzz (integrated social media marketing tools) and secure storage on Symantec servers. Livebuzz was used at EIBTM 2014 in Barcelona. N200 from the Netherlands offer an interesting solution for conferences and exhibitions alike. 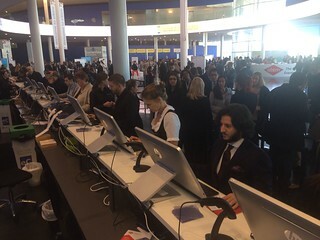 Features like the exhibitor staff module show that the guys do understand the daily issues that a registration system for trade shows and exhibitions needs to tackle. More importantly, N200 can be expanded to deliver a fully fledged lead capture and management tool. The key feature of Ticketscript is an on-the-door sales app called ticketscript box office. See more in the video below. Apart from that, it offers e- and mobile tickets, promo codes, and a fully customizable responsive online ticket shop. A long list of features, ticking boxes like Passbook integration, text ticket to mobile phone, print-at-home, unique 2D barcodes and much more. There is even a telephone box office service provided upon request. A special feature of this solution is that it offers the registration process in 40 languages and accepts more than 160 currencies with exchange rates updated hourly. The system also offers interesting features for event promotion, like conversion triggers (special short marketing messages displayed on the registration page). Pricing: 2,5% per ticket. Currently no payment processing, funds go directly to the organizer. When your event websites are based on WordPress technology (which a lot of sites de facto are), then the Woocommerce plugin is an interesting option to explore. It does not come with the same sophisticated features as most of the other solutions listed here, but it is an eCommerce solution that is 100% integrated in WordPress and therefore worth considering. Most importantly, it is a free service. See the image below to check how it looks integrated in the popular Showthemes by EventManagerBlog. Also known as Amiando (before it was purchased by the social network XING), XING Events is highly integrated in the Germany-based social channel, the number 1 business network for the German speaking markets. That makes it pretty interesting when you are active in those markets only. It allows set up of ticket shops both on XING and on Facebook. The function people2meet suggests interesting contacts, giving a delegate sustained benefit from an event participation. An interesting solution for concerts and any kind of reserved seating events, Yapsody comes with mobile apps, an integration in MailChimp and social media channels, e-ticketing and a lot more. The option to give donations via the online store makes it interesting for non-profits, too. Hi Michael. Great article, thanks! Check out Get Invited for online ticketing and event registration. We offer the above features, and are 100% compatible for mobile devices from the front end, right through to the back admin. This allows event organisers to manage their attendees, check them in to the event and manage all of the set-up from any device. We also offer a widget so you can sell directly from your own website, or you can create your own event page with us. Thanks, Emma! I am preparing a presentation at Eventex in Sofia, where I’ll be shortlisting vendors for different use scenarios. So thanks for pointing out your service! Hi Michael! Great post! I recommend to also check out GateMe PRO http://www.gatemepro.com -> also 0% ticketing, with monthly fee, but also includes simple electronic guestlists. Thanks, Janar, for the heads-up! Is there a tool that can handle events and also memberships (annual) for a charity, would be interesting. Hey Michael, I’ve just re-read the article and it’s a great one as it puts all the players to the table! Great Article. This would surely help event oraganisers in selecting the right tool for organizing event. Thank you for great post! While most similar overviews just list a selection of services, you give organisers a checklist to evaluate their needs first. I work for Fienta (https://fienta.com) where we compete with the major players on the market by offering better usability, transparent pricing and some unique features such as regular invoice payments or tools for distributed commerce. I would be honoured if you considered checking out or solution in your future reviews.